The most compelling scientific evidence for life beyond death ever compiled. Evidence of the Afterlife shares the firsthand accounts of people who have died and lived to tell about it. Through their work at the Near Death Experience Research Foundation, radiation oncologist Jeffrey Long and his wife, Jody, have gathered thousands of accounts of near-death experiences (NDEs) from all over the world. In addition to sharing the personal narrative of their experiences, visitors to the website are asked to fill out a one hundred-item questionnaire designed to isolate specific elements of the experience and to flag counterfeit accounts. The website has become the largest NDE research database in the world, containing over 1,600 NDE accounts. The people whose stories are captured in the database span all age groups, races, and religious affiliations and come from all over the world, yet the similarities in their stories are as awe-inspiring as they are revealing. 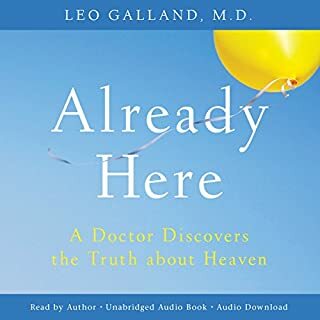 Using this treasure trove of data, Dr. Long explains how medical evidence fails to explain these reports and why there is only one plausible explanation?that people have survived death and traveled to another dimension. I have read several books in search of this one. 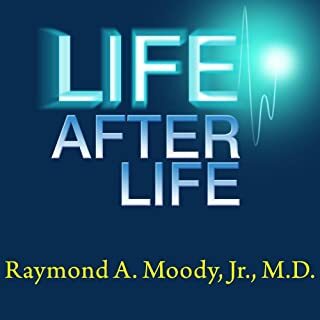 This book compiles many nde's and then examines them and compares them. It is hard to believe it has taken this long for this type of study to have been done, but now that it has everyone should read it. The message found in this study is not new, however the source is. Would you listen to Evidence of the Afterlife: The Science of Near-Death Experiences again? Why? This book needs a better narrator. One who is committed to the material. 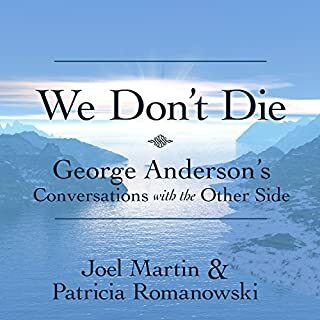 Many, many amazing first hand accounts of near death experiences from all walks of life, all ages, all religions and from across many cultures. The author relies on statistics and a scientific approach to prove his points...but the stories from the people who have had the experience don't need statistics for proof. The proof is in the stories themselves. If you are a skeptic...? Good luck with this one. Who would you have cast as narrator instead of Bob Dunsworth? Bob Dunsworth has an excellent voice, but he did a poor job on this book. Too often, Bob's excellent voice is just reading words on a page ... with little regard or apparent interest in their meaning and significance. He reads past periods and at times he walks all over the content. It was like having an agnostic reading the Bible ...or any other spiritual message. Stop briefly for a period, Bob. Take a breath beyween sentences ... it is not a race to the finish of the book. Understand & believe in what you read ... or don't read it. FINALLY: Please look up the pronunciation of word "anesthesia" ... a much used and important word in the book ... which was mispronounced hundreds of times. What you will find: [an-uhs-thee-zhuh] not [an-uhs-thay-zhuh]. Excellent content. Amazing research. Well founded conclusions. UPLIFTING! Loved this well researched book ! I bought this on a whim, and was very pleasantly surprised! I came away feeling hopeful and light. This year personally for me has brought death up close and personal, and this book was like listening to a gift. The author, being a very respected clinician, was also beneficial when processing this book. He did not shy away from explaining why some people do not believe in NDE, and examining their reasons in an intelligent manner. How does a person born blind come back from a near-death experience and report having "seen" things....very curious....The best recommendation I can give this book is that after listening to it, I bought a paperback copy and read it the traditional way, and then pressed my friends into reading it. The arguments are very compelling if not convincing....Dr. Long has researched this phenomena since 1998....he has a lot of data that suggests that the NDE is not the result of a brain fooling a person. Well worth a look. The author spends so much time telling the reader about the statistics that in my estimation the impactfulness of the stories is diminished. It's a good read but could have been a lot better. 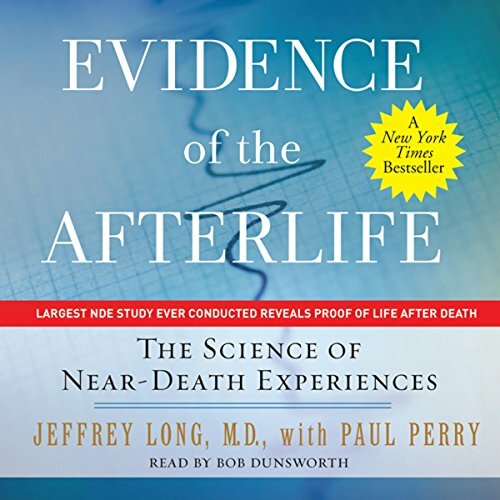 What did you like best about Evidence of the Afterlife: The Science of Near-Death Experiences? What did you like least? 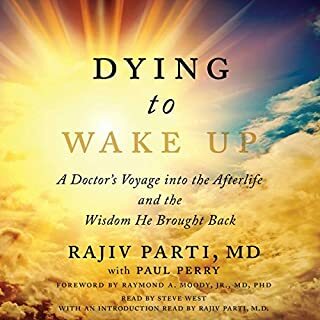 I felt the author spend most of the time discussing near death experiences and the similarity between various accounts. I did not have the distinct understanding of true life after death after reading this book. Not science, but compelling anecdotes. This book asks us to believe that statistics are science because they are gathered on a web page by a doctor who has studied a lot of science. A doctor is close enough to scientist, but making a web page of questionnaires is not science. The largest part of the proof is that the stories/questionnaires about near-death experiences submitted by self-selected people yield statistically similar answers. The problems begin that near-death is not well defined and many of the people may have had dreams etc. 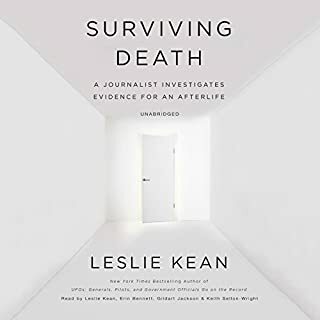 so the author examines the submissions carefully to determine if they match near-death and takes the results he is most sure of and categorizes them and generally reports only the most sure group or the two best groups together. All the outliers are discarded so it is really uncertain if the questionnaires are intrinsically similar or the near-death selection criteria, the self-selection, and any questionnaire bias makes them that way. The author explains his process and does try to minimize influence and reach out to people who may not typically fill out the questionnaire. This is a difficult thing to do with statistics alone, especially with the fragilities of human memory and perception; I laud the attempt, but this may be an impossible task. I also took some exception to the way the author deals with skeptics; they are usually lumped together as all having the same opinion that is usually dismissed as naive. In the much less occurring case it is stated that skeptics cannot agree on the cause of something and are therefore dismissed as grasping at straws. If these experiences are not all real, I would imagine they would have many different potential causes and thus it seems like skeptics, whose guesses should be relatively diverse, are not given any real consideration. 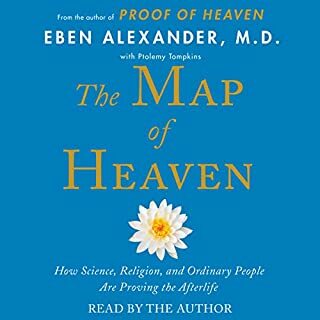 This book would be more convincing if some of the people coming back after experiencing having a deep knowledge of the universe and how all things work gave us a formulation for helping Alzheimer's disease patients or the like (if death is not to be feared, as stated in this book as a typical feeling after an NDE, it should be a disease/problem that causes much suffering). This book is well worth the listen; it is inspiring and interesting... it's just not science. Book was kind of boring in that it was all based on research. I wanted a lot more stories. The stories that were given were around 45 seconds to a few minutes long. I just thought it was something other than what it was. Probably a good listen for those who want the numbers. This book may very well change the way you look look at religion and death. Personally I have always been a bit skeptical about life after death and near death experiences. I have always wondered whether it was not just wishful thinking and fantasies of a dying brain. I must say after reading this book I have had to revise my opinion and it has given me great comfort as I have just lost a person dear to me. I would strongly recommend it as it is fairly soundly based on scientific method and not just a romantic excursion into a controversial topic. The writing seems very redundant in content and phrasing and becomes hard to listen to, but the tidbits of data are what kept me listening. The reader mispronounced a number of words continuously. Anesthesia was pronounced like Anastasia, scintillate was pronounced like skintillate and akin was pronounced like bacon without the 'b'.